SunEdison, a leading solar technology manufacturer and provider of solar energy services, and MIC Solar Energy Holdings, a subsidiary of Macquarie Infrastructure Company LLC, today announced the completion of a 16.4-MW photovoltaic (PV) solar power plant located outside Tucson, Ariz., on Davis-Monthan Air Force Base (AFB). The plant is the largest solar energy facility at any U.S. Department of Defense installation and is expected to reduce the Air Force’s utility costs by $500,000 annually for the next 25 years. The project became a reality thanks to a public/private alliance between Davis-Monthan AFB, SunEdison, The North American Development Bank (NADB), MIC Solar Energy Holdings, LLC, Chevron Energy Solutions and local officials. MIC Solar Energy Holdings, which specializes in infrastructure investments, took ownership of the project. The SunEdison Renewable Operation Center (ROC), which provides global 24/7 asset management, monitoring and reporting services, will manage plant operations through a contract with MIC Solar Energy Holdings. The plant, which is located on two plots of previously underutilized land totaling 170 acres, is designed to provide 35 percent of the base’s electricity requirements and is expected to generate enough electricity each year to power 5,173 houses. As the largest consumer of energy in the federal government, the Air Force is working to increase its use of renewable electricity to 25 percent by 2025. The Davis-Monthan AFB solar power plant utilizes SunEdison Silvantis™ Solar Photovoltaic (PV) Modules. SunEdison polysilicon and wafers are the foundation for Silvantis modules, which are designed for maximum efficiency and durability. As part of President Obama’s Climate Action Plan to reduce carbon pollution, create jobs and move our economy toward clean energy sources, Secretary of the Interior Sally Jewell today announced the approval of two solar energy projects located near the Nevada-California border that are expected to supply 550 MW of renewable energy, enough to power about 170,000 homes, and support more than 700 jobs through construction and operations. 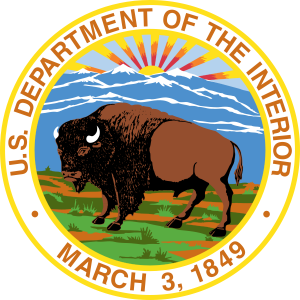 Today’s approvals bring to 50 the number of utility-scale renewable energy proposals and associated transmission that the Interior Department has approved since 2009, including 27 solar, 11 wind and 12 geothermal projects. Together, the projects could support more than 20,000 construction and operations jobs and, when built, generate nearly 14,000 MW of electricity, or enough to power 4.8 million homes. Thirteen of the projects are already in operation, including the Ivanpah Solar Electric Generating System, a 377-MW solar thermal plant that started commercial operations and delivering power to California’s electric grid last week. The first project is the 300-MW Stateline Solar Farm Project, a facility that will be built in San Bernardino County, Calif., on approximately 1,685 acres of public land located two miles south of the California-Nevada border. Using photovoltaic panels, the facility will generate enough electricity to power approximately 90,000 homes and create an estimated 400 jobs during construction and 12 permanent jobs during operations. The facility will connect to the grid via a 2.7-mile 220-kilovolt transmission line. The second project is the 250-MW Silver State South Solar Project located near Primm, Nevada on approximately 2,400 acres of public land. The facility is expected to power approximately 80,000 homes and will be located adjacent to the 50-MW Silver State North Project, the first solar plant on public lands to deliver power to the grid. Silver State South will also use photovoltaic panels and will generate an estimated 300 jobs during construction and 15 permanent operations jobs. Both projects are proposed by the company First Solar and have commitments from Southern California Edison to purchase the projects’ output for 20 years. First Solar has agreed to undertake significant project design changes and mitigation measures to minimize impacts to wildlife, water, historical, cultural and other resources. For example, the BLM worked on the Stateline proposal to reduce the project’s footprint by more than 20 percent to avoid and minimize project impacts. In addition, as part of ongoing efforts to protect the threatened Desert Tortoise, the BLM is expanding the nearby Ivanpah Desert Wildlife Management Area by more than 20,000 acres and requiring that the developer achieve 3:1 compensatory mitigation for Desert Tortoise for its 1,685 acres. For the Silver State South project, the project design was modified to reduce the size of the facility by 100 megawatts. Mitigation measures include soil stabilization to prevent erosion and polluted runoff. In addition, the developer must fund over $3.6 million for Desert Tortoise mitigation and $3.5 million for studies intended to guide future efforts to protect the Desert Tortoise in the project area. The company must also assess the project’s potential adverse impact if archaeological properties at the site are found to be eligible for National Register of Historic Places listing. “As we implement the President’s Climate Action Plan to generate jobs, cut carbon pollution and move our economy toward clean energy sources, we need to do so in a way that takes the long view and avoids or minimizes conflicts with important natural and cultural resources,” added Jewell. Additional information on the projects is available here. Los Angeles’ groundbreaking new rooftop solar energy program is delivering on its promise to bring cost-effective, clean power to tens of thousands of LADWP customers, and is ready for a significant expansion that would bring even greater benefits to Angelenos, according to a report issued today by J.R. DeShazo, Director of UCLA’s Luskin Center for Innovation. Under the feed-in-tariff (FiT) program, electric power generated by solar rooftop installations on office and retail buildings, warehouses and apartment complexes is sold to the Los Angeles Department of Water and Power (LADWP) for use by its residential and business customers. After numerous interviews with primary stakeholders, including solar developers and participating property owners, the UCLA researchers evaluated the initial two phases of the program, representing about 40 megawatts (MW) of solar power. These two allocations received a total of 256 program applications. Based on the successful rollout, the research team concluded that the “FiT 100″ is on track to deliver 100 MW of carbon-free energy by 2015 – enough to power more than 21,000 homes annually. Importantly, the program is also on track to deliver on the jobs, economic and sustainability goals outlined when city officials approved the program in 2012. And the cost of power – averaging 15 cents per kilowatt-hour – is lower than any other similar FiT program in North America. In addition to clear environmental benefits, the installation of the first 40 megawatts is on course to generate 862 jobs, and the full 100 MW program is expected to create more than 2,000 jobs – 1,370 direct jobs plus 785 more indirectly related to the program, according to the UCLA study. The FiT 100 is also expected to deliver approximately $300 million in direct investment in the City of Los Angeles by solar companies and other businesses involved in the program. Once the full FiT 100 program is in place, the UCLA research team estimates that as many as 2.7 million tons of greenhouse gases will be displaced from the environment every year. “Imagine taking away the emissions from about half a million cars annually. That’s what this solar program is on track to deliver by replacing dirty, coal-fired power with clean, renewable solar power,” said Evan Gillespie, Western Region Deputy Director of the Sierra Club. The CLEAN LA Solar Coalition, spearheaded by the Los Angeles Business Council, has long touted the benefits that the solar FiT could bring to diverse communities throughout Los Angeles. The UCLA analysis confirms that applications received for the first two waves of the program came from each of L.A.’s 15 City Council districts, with the largest number coming from the sun-rich San Fernando Valley and others coming from South Los Angeles. The FiT is seen by many as a geographic complement to the LADWP’s existing net metering solar program, whose participants are largely on LA’s west side. “Every community should benefit from this rooftop solar program, and so far it’s clear that effective rooftop solar can create opportunities in every part of the city,” said Manuel Pastor, Director of USC’s Program for Environmental and Regional Equity. The FiT’s early installations show the diversity of opportunity throughout the city. In June 2013, residents celebrated the first FiT connection atop an apartment building in North Hollywood. In December, a solar array was activated on the roof of Southern California Trophy Company’s 20,000-squarefoot-production facility in downtown Los Angeles, and most recently a 500-KW installation on a warehouse in Chatsworth. Numerous other projects are set to go live in 2014. While acknowledging the strong rollout of the FiT, the UCLA research team also identified ways to improve several aspects of the program, especially as it scales to 100 MW and then to 600 MW. To incentivize small projects, the LADWP should consider differentiating the tariff paid to small and large project categories, potentially improving the financial viability of small projects. Another solution, according to the report, may be to increase the size range for a small project. The study recommends several areas for possible improvement as the program expands. To create more certainty for solar companies and building owners, the LADWP should anticipate costs to connect the new solar arrays to the electrical grid. Also, the city’s Building & Safety Department should issue clearer guidelines and a resources manual to make the permit process more streamlined and efficient. Also, the UCLA study suggests that the LADWP extend its FiT contracts from 20 to 25 years. Doing so will help the utility secure renewable energy for a longer time period, and assist solar developers in improving financing terms. The team also believes that greater awareness of the program would incentivize more building owners to make their rooftops available for solar projects. At LABC’s request, the USC Program for Environmental & Regional Equity is evaluating how the FiT can maximize its economic impact locally, especially on hiring and investment in low-income communities. The USC study is scheduled to be released at the 2014 LABC Sustainability Summit in April. 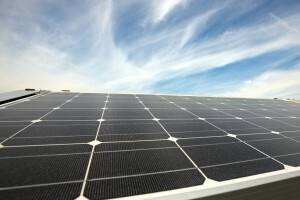 For more information about the LADWP Feed-in Tariff Program, please visitwww.ladwp.com/fit . Today, SunPower awarded schools in four California school districts a total of $85,000 in grants to support the implementation of science, technology, engineering and mathematics (STEM) curricula for students. The grants were facilitated in partnership with Project Lead The Way (PLTW), the nation’s leading provider of K-12 STEM programs. After successful completion of a competitive application process, school districts receiving the awards include Antioch, Compton, Tustin and West Contra Costa Unified. Schools in each district will offer PLTW programs in which students engage in open-ended problem solving, learn and apply the engineering design process, and develop vital skills such as teamwork, communication and critical thinking. In addition to working with Project Lead The Way to provide school-year grants, SunPower also offers the SunPower Solar Academy, an intensive summer program, to school districts across the state. In 2013, approximately 250 students from ten school districts participated in the week-long program, which immerses participants in a solar-focused STEM curriculum. SunPower is a leader in delivering energy solutions to California’s academic institutions. The company is providing, or has provided, a total of 36.1 MW of on-site solar power systems at 92 California K-12 public schools. 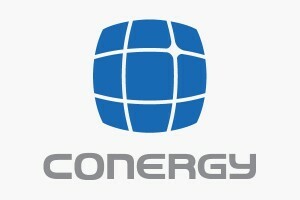 Conergy does it again: working with four-time partner, Washington Gas Energy Systems Inc., the team has successfully completed the installation of seven solar energy systems in California’s central valley for the City of Corcoran, Calif. This time the partners installed a total of 1.3 MW at local school facilities in a combination of both carport and ground mounted solar energy systems – a special expertise of Conergy. Through this project, Conergy further expands its cooperation with utilities in the USA on projects not financed by the end-user of the clean energy but by a third party. As EPC, Conergy is responsible for engineering, procurement of product and constructing the system, as well as ongoing operations and maintenance. The long term ownership of the solar plants belongs to Conergy’s partner Washington Gas Energy Systems, with whom the PV solution and service provider has already executed other projects in both California and New Mexico. The energy produced by the power plants will be used directly by the schools to avoid increasing energy prices and to stabilize overall costs for the school district. The schools will be using 100% of the generated electricity via a Power Purchase Agreement (PPA) with Washington Gas Energy Systems that has a term of 20 years. The more than 4,400 solar modules will produce more than two million megawatt hours of clean solar power every. That is the same amount of energy sufficient to supply more than 21,000 laptops running eight hours a day for a year. And, the installations are expected to reduce greenhouse gas emissions equal to recycling around 560 tons of waste instead of sending it to a landfill, or taking more than 312 passenger cars off the road for one year. Thanks to the PPAs, institutions such as the City of Corcoran and its schools enjoy electricity prices guaranteed over 20 years that are below the market level for power from the grid. The operators and investors of the plants, for their part, receive a reliable yield over the term of the PPA.